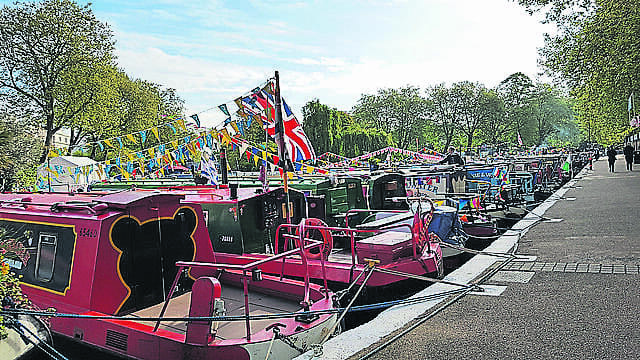 THE Inland Waterways Association’s 35th annual Canalway Cavalcade was opened by waterways Parliamentarian of the Year, Lord German, over the early May bank holiday weekend. Speaking to an audience which included IWA’s vice-president David Suchet and his wife Sheila, Lord German stressed how important the canals are, adding that pressure should be applied to politicians and the Government to ensure that those restored are not lost. ighlander was runner-up in both the pageant and illuminated boats parade. 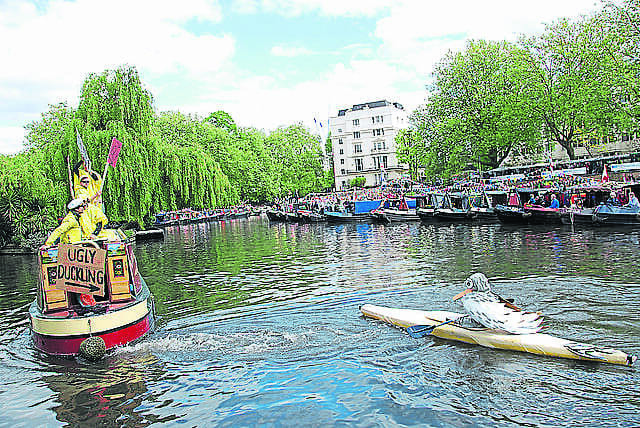 Singer Paul Weller was spotted among the crowds who came to view 140 boats gathered in Little Venice. Brownings Pool was filled with boats decked with gleaming boat brasses, flowers and colourful bunting. Festival-goers wandered the area where the Regents and Grand Union canals meet, sampling delights such as strawberries dipped in Belgian chocolate and browsing an array of crafts such as hand-crafted leather goods and Spanish cookware. 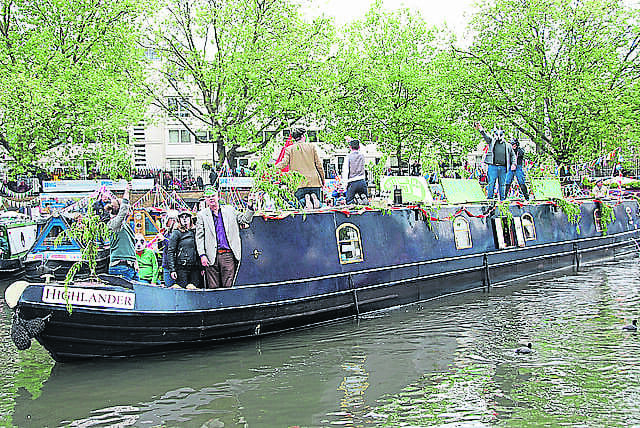 Brownings Pool was filled with boats decked with Gleaming boat brasses, flowers and bunting. 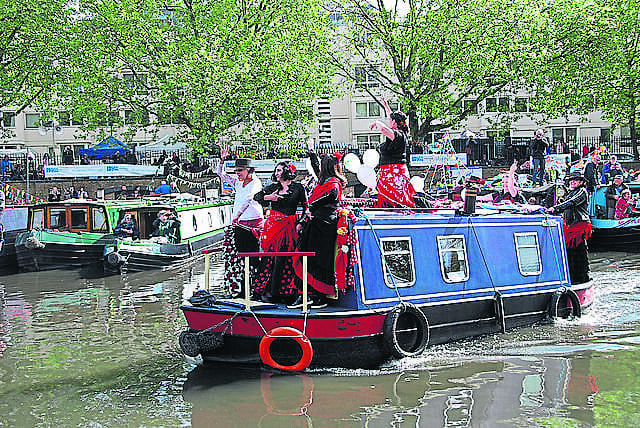 One of the highlights of the festival is the themed pageant which attracted more than 20 competitors dressed to match the Waterways Tales themes. Ratty and Toad boated along in Wind in the Willows; The Narrow Dog to Carcassonne was represented as well as The Ugly Duckling, who sat dejectedly in a canoe being towed behind four unfriendly ducks. On Sunday evening more than 20 boats lit the waters of Brownings Pool as they paraded their displays in the illuminated procession. Further activities and entertainment for visitors over the weekend included canoeing and kayaking sessions offered by Pirate Prince, morris dancing, Punch and Judy, tales of women and waterways in wartime, fairground rides, 100 trade, craft and food stalls and a real ale bar.